Fancy making something different for the family for breakfast this Sunday morning? 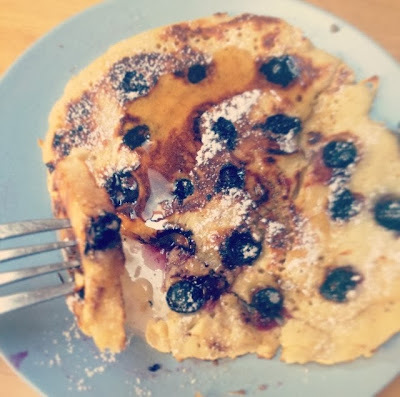 Why not try these deeeeelicious American Style Blueberry Pancakes? 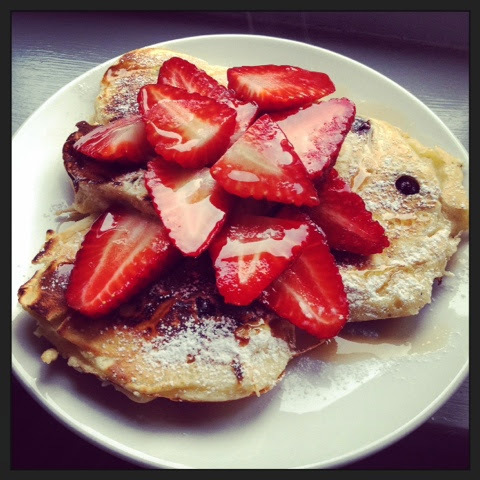 I decided to try them last Sunday morning and I have to say they were a massive hit in the Murphy house. 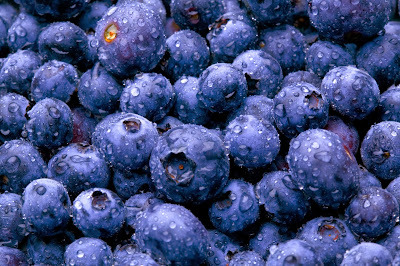 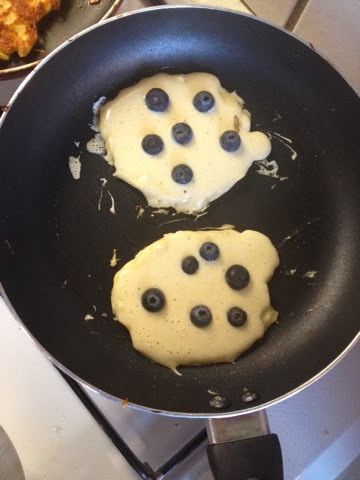 The blueberries cook into the pancake batter, which leaves them tasting similar to those in blueberry muffins. 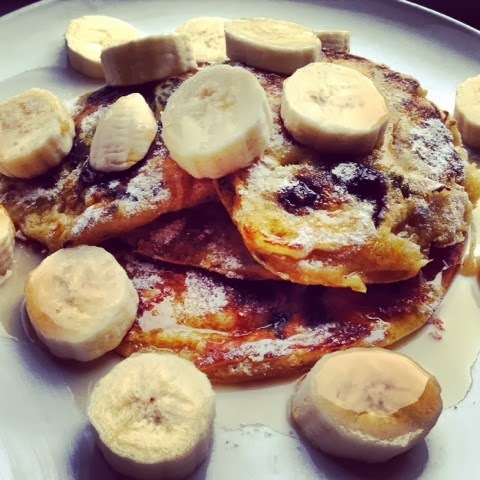 They are pretty heavy, so, my advice is to make them pretty small in size and to serve them in stacks of three with chopped banana and maple syrup drizzled over the top.